Babe Didrikson Zaharias (June 26, 1911–September 27, 1956) is arguably the greatest female athlete of all-time. After years of excelling in other sports, including winning Olympic medals, Zaharias took up golf. She quickly became one of the best ever in that sport, too, and her presence in the early days of the LPGA Tour was critical in the growth of women's golf. Known For: Olympic track and field medalist, professional golfer. Parents: Ole Didriksen and Hannah Didriksen (as an adult, Babe changed the spelling of her surname to end with "on" rather than "en"). Died: September 27, 1956 in Galveston, Texas. Spouse(s): George Zaharias (married 1938–1956); Betty Dodd (long time companion, 1950–1956). Famous Quote: When asked how she hit the golf ball so far, she replied, "I just loosen my girdle and let the ball have it." Babe Didrikson Zaharias was born Mildred Ella Didriksen on June 26, 1911 in Port Arthur, Texas to a working-class, east Texan, Norwegian immigrant family. Her father, Ole Didriksen, was a sailor based in Oslo, who saw Port Arthur from the bow of a ship and resolved to move his wife Hannah and their three children there. The family arrived in 1908 and four more children were born: Mildred was the youngest daughter, the sixth of seven. Hannah was an ice skater and skier; eventually, Ole gave up sailing and became a cabinet maker like his father. When Port Arthur was struck by a hurricane in 1914, Ole moved the family to Beaumont, Texas, which in the 1920s was taken over by the Ku Klux Klan. The rallies and political rhetoric of the Klan did affect her growing up—she at times reiterated racist and anti-Semitic sentiments. Didriksen was a ruffian as a little girl—her brothers told biographer Susan Cayleff that she was called Baby from an early age, but she often got in trouble for breaking windows and fighting. Her father built the children a gymnasium in the backyard to help them work off steam. Even with a fairly lucrative cabinet making job in Beaumont, Ole had trouble making ends meet with seven children, and Babe, like the rest of her brothers and sisters, got her first job at the age of 12, working after school at a fig packing plant and then at a potato gunnysack factory. 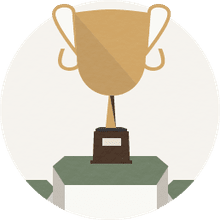 Didrikson was active in sports from a young age, and in high school, she won the doubles crown in tennis and was on both the golf and tennis teams. She was the star of the basketball team in high school—but she was an average student and math gave her trouble. Her sports successes brought her to prominence in Beaumont, and she gained a cocky and confident air, and appeared in the local paper. In 1930, she was approached by Melvin J. Combs, the coach of the Employers Casualty Insurance Company's women's basketball team in Dallas. He invited Didrikson to come work for him so she could play on the semi-professional Golden Cyclones basketball team after she graduated. Their family was still strapped for cash, so she left school early and went to work for the Employers Casualty. In Dallas, she did clerical work—although from her letters her spelling was atrocious—and competed in basketball, baseball, track and field, leading Employers Casualty to total dominance over the 48 other Texas women's teams. "... (F)amed woman athlete, 1932 Olympic Games track & field star, expert basketball player, golfer, javelin thrower, hurdler, high jumper, swimmer, baseball pitcher, football halfback, billiards, tumbler, boxer, wrestler, fencer, weight lifter, adagio dancer." They left out tennis and diving, among others. Somehow, Babe even managed to find time to play harmonica in vaudeville shows and win the sewing championship at the 1931 South Texas State Fair. Later, a newspaper reporter wrote that Zaharias "operates like a woman whose life is a constant campaign to astound people." In basketball, she led her team to the Amateur Athletic Union national championship in 1931 and was an All-American selection three consecutive years. In track and field, Didrickson set five world records in one day at an AAU meet in 1932. At that meet, her team won the national team title ... and she was the only member of the team. At the 1932 Olympics, Babe won gold medals in the 80-meter hurdles and javelin, and silver in the high jump. Zaharias didn't take up professional golf until she was in her 20s, then won the first tournament she entered, the 1935 Texas Women's Invitational. And she worked hard at her game, hitting as many as 1,000 balls a day during practice sessions. All the work paid off. She won, and won a lot, including her first major at the 1940 Women's Western Open. She won 17 of the 18 tournaments she entered in 1946-47, including the U.S. Women's Amateur in 1946 and British Ladies Amateur in 1947. Babe won on the Women's Professional Golf Association tour, too, the predecessor to the LPGA, of which she was a co-founder in 1950. 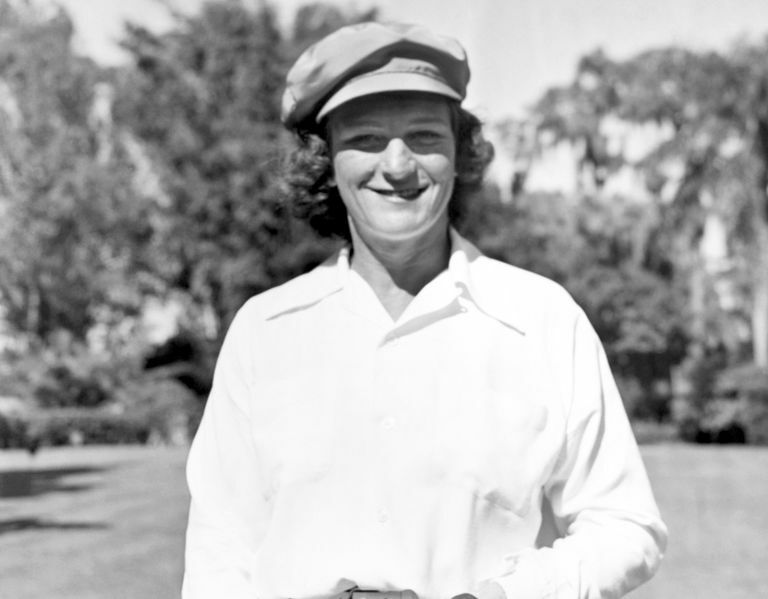 Zaharias was the biggest star of the young LPGA, winning 41 victories on the LPGA Tour between 1940 and 1956. At tournaments, she was a showman and a showboat. Her on-course banter with fans was often off-color, sometimes crude, but always entertaining. She gave the people what they wanted, and they came out to see her in droves. Babe's star power has often been credited with keeping the fledgling tour alive, and behind the scenes, she worked tirelessly to line up sponsors—sometimes cold-calling companies and haranguing their CEOs until they agreed to sponsor an event. Babe Didrikson struggled with her image her entire life. As a teenager, she was a classic tomboy, which worked until she was an adult, and the types of sports she pursued—running, jumping, throwing—were not ladylike. She excelled at the shot put, javelin, and high-jumps, sports that many physicians of the day said would interfere with a successful pregnancy. In the 1930s, female athletic excellence was possible but only if the woman risked being considered a freak. According to her biographer Cayleff, successful female athletes were considered Amazons, often associated with prostitution, aggressive heterosexuality and reproductive malfunction. Behavioralists said tomboys were likely lesbians: Didrikson developed a childish, goofy tomboy character to present in public. She was always accessible to reporters, and used those opportunities to promote herself: but she fictionalized much of her life, constructing a non-threatening, "normal" heterosexual, feminine life script. Didrikson changed the spelling of her name, reported at least four different dates of birth, bragged in her biography about all the boys she dated and the proposals she had turned down. When a media figure speculated that she had gotten her name from an early comparison to Babe Ruth, she adopted that and spoke of it as gospel afterwards. In 1938, she met and married George Zaharias (1908–1984), who was born Theodore Vetoyanis and wrestled professionally under the name "The Crying Greek from Cripple Creek." He abandoned his successful career to manage Babe's. By 1950, though, the marriage had gone stale, and Babe met Betty Dodd (1931–1993), a gifted gellow golfer on the LPGA tour who, according to Cayleff, replaced the intimacy lost in Babe's marriage. They traveled together on the tour for years; eventually Betty moved in with George and Babe, and was indispensable during Babe's last illness. In the major championships of amateur golf, Zaharias won three times: the U.S. Women's Amateur in 1946 and 1947, and the British Women's Amateur in 1947. In the professional major championships, she won 10 times (still fourth-best in LPGA history): the U.S. Women's Open in 1948, 1950 and 1954; the Women's Western Open in 1940, 1944, 1945 and 1950; and the Titleholders in 1947, 1950 and 1952. Zaharias was the LPGA Tour money leader in 1950 and 1951, and the scoring leader in 1954. She received the Bob Jones Award, the highest honor given by the USGA, posthumously in 1957. She is a member of the World Golf Hall of Fame. For her accomplishments before becoming a pro golf, and after, she was named the Associated Press Woman Athlete of the Year in 1931, 1945, 1946, 1947, 1950 and 1954. And she was named the Female Athlete of the Century (for the 20th century) by the Associated Press and Sports Illustrated. Babe Didrickson Zaharias was diagnosed with colon cancer in 1953 and underwent a complete colostomy, but the surgery identified that the disease was already in her lymph nodes. Nevertheless, she returned to win the 1954 U.S. Women's Open by 12 strokes over her main rival Betty Hicks, plus the Vare Trophy for low scoring average on the LPGA. She continued to ail, but still won the last tournament in which she played, the 1955 Peach Blossom Open. In December of 1955, struggling to find the energy just to walk, Zaharias had a friend drive her to Colonial Country Club in Fort Worth. She knelt down and touched the grass one last time. She died months later in Galveson, at age 45. Beschloss, Michael. "A Maverick Golfer’s Struggles in a More Conformist Time." The New York Times, August 8, 2014. Cayleff, Susan E. "Babe: The Life and Legend of Babe Didrikson Zaharias." Urbana: University of Illinois Press, 1996. ---. "The "Texas Tomboy" the Life and Legend of Babe Didrikson Zaharias." OAH Magazine of History 7.1 (1992): 28–33. Print. Freedman, Russell. "Babe Didrikson Zaharias: The Making of a Champion." New York: Clarion Books, 1999. "No matter the game, Babe Didrikson Zaharias played to win." The New York Times, August 10, 2016.